What is Micro Needling or DermaRolling Or SkinPen? As we all seek the holy grail of beauty concepts this type of product/service has erupted filled with new acne scar reduction and skin tightening promises. 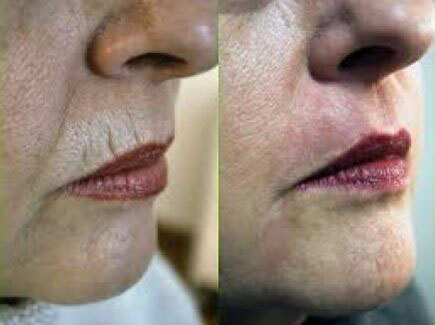 One fact that medical science proved some time ago is that ablated (pierced, punctured or scraped) skin makes collagen. 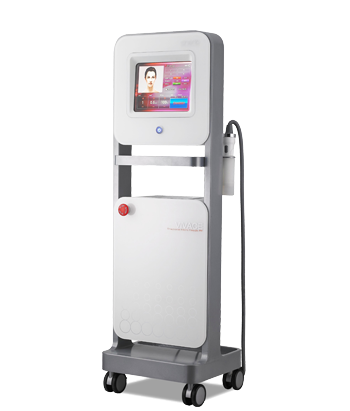 It is the reason Microdermabrasion works well on the skin, it’s also how Fractional Lasers work to create collagen and break up acne scars. So it stands to reason that a device that poked tiny (or not so tiny) holes in the skin would do the same. Hence the creation of DermaRollers. These medieval looking devices emerged originally as an In-Office procedure done primarily by doctors. The skin was numbed by the physician and thoroughly rolled with the device. Then products were applied and the client was sent out the door red and sometimes swollen. With a few days of recovery the patients skin would begin to make collagen and weeks later they would emerge looking much younger (in theory). I worked in an office where this procedure was regularly done by a doctor and I have to say, I was never that impressed with the results considering the cost and the down time involved. I believe that’s why the procedure silently disappeared about 8-10 years ago. So if the cost and downtime of these bigger procedures had some attraction and supposed benefits, what if they dialed down the depth of the needles? 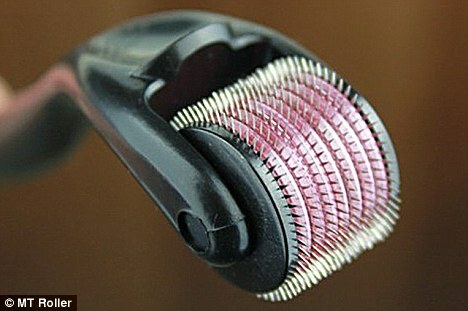 This is the way that Micro Needling (DermaRolling) evolved. 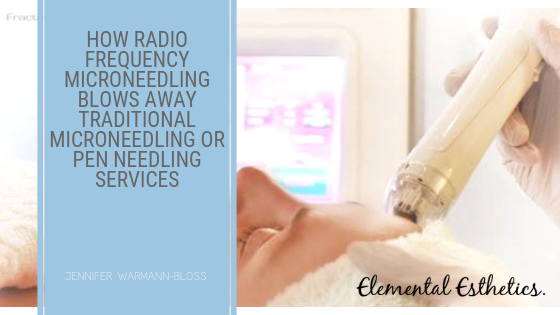 By lessening the depth of the needles this procedure could be done by estheticians and nurses, or as it evolved even further, by the own client at home. So if this safer, less bloody version could be done in new hands would it be better accepted? The answer by the market is “yes” as folks scramble to get this done and buy their own medieval devices for home use, but the questions remain: does it work and is it safe? I definitely try to stay ahead of the curve when it comes to new technology. So with the buzz on the market (primarily by the plethora of sales reps coming to our door with them) I decided to test out this new, amazing procedure. 3 of my regular clients, one with acne scars, one with wrinkling/tightness issues, and one with large pores were invited to come in and with the help of a medical expert I tested the newest, best loved and safest version on the market. To be honest, NONE of the clients nor I were at all impressed with the results. We used the strongest/deepest but still safe puncture depth. There was irritation and even some bleeding in the patients. But days and weeks later not one of the 3 thought it was worth the $300 it would cost to have this procedure done. One of them even felt that they got more results with the last Microdermabrasion that I did on her for half the cost. I grasp that this is a small sample but it was filled with clients I trust and so that’s good enough for me. There is a mixture of reviews out about these devices both good and bad, but it’s my personal opinion that it’s a service that’s not worth the cost, or the risk. If you have thought about using at home devices to get the service without the expense, let me be clear, the needle size in these devices are so small and ineffective that they also are not worth the money. Not to mention that it still hurts like crazy! You must realize that they couldn’t put a truly effective device in the hands of just about anyone because the risk of folks damaging themselves and suing the company are WAY to high! So save your precious money and don’t purchase these devices either. There Is A Solution Out Now That Actually Works!! 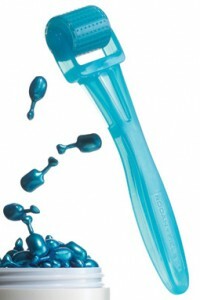 After much searching we found the fantastic Cartessa Vivace, microneedling technology with low risk and great results. What makes it different than traditional dermapen or microneedling services? 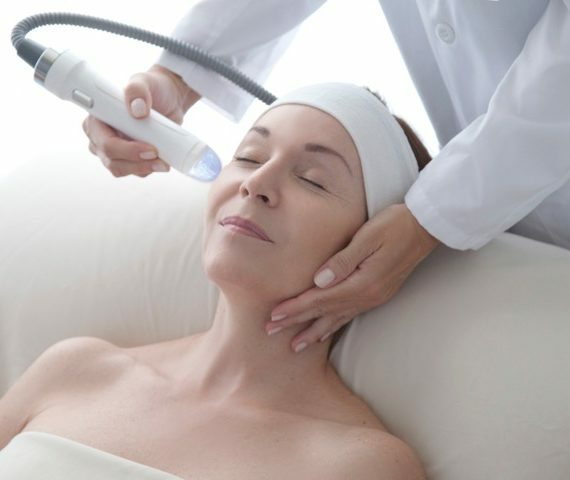 It penetrates deeper – RF microneedling actually penetrates deeper by shooting energy past the point of needling providing you a much better result. 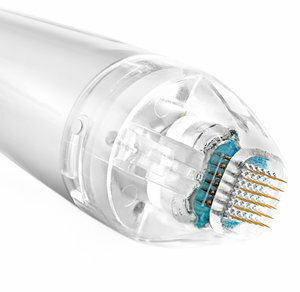 It’s safer – There is a high risk of cross contamination in the devices used for non-laser based microneedling. The Vivace’s completely sanitary gold plated needles are fully disconnected from the machine head, preventing all risks of cross-contamination. It works better on wrinkles and acne scarring – Acne scars are small, tough patches of thick damaged skin. 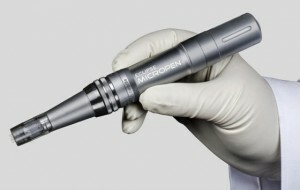 RF Microneedling breaks the material up far better than just poking holes in it. We can actually focus energy right into the spots several times providing a targeted and effective result. You can adjust the depth and intensity – RF Microneedling can be a mild, easy treatment or a deep, face-changing service by changing the number of passes and the level of intensity used during the treatment. This allows for a much wider array of options for you, the client! Traditional microneedling has limited variables to change the outcome. What Makes The Vivace Stand Out? As opposed to other microneedling rollers and pens that can lead to tearing, pain and inconsistent results, the Vivace’s 36 insulated, gold-tip needles. The robotic step motor create fast and even insertions into the skin. The chevron-pattern circuitry for the 70-watt patterned RF distributes heat evenly as it delivers skin tightening. This reduces redness, hot spots, burning and discomfort that can occur using other devices. The Vivace was designed for an incomparable, comfortable patient experience. The unique robotic motor is so precise, it brings the discomfort level to a virtual zero as compared to any other device. The 36 insulated, gold-tipped needles are also set with a small diameter making it more comfortable. Can you say hours of downtime instead of days? Most clients leave the office a bit pink but it subsides within hours. Additionally, makeup can be applied the next day. You also begin to see results within hours after the treatment, not something you can say about most cosmetic procedures. Additionally, results increase over 3 weeks and hold for months. So instead of putzing around with manual devices at home or medieval devices in your local MedSpa, come try a service that actually produces fast, painless results with virtually no downtime!